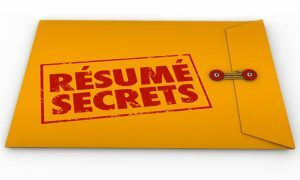 resume Archives - Interview coaching in-person or video | Interview Questions – Answered! WHY don’t they answer me?? In this context, black hole is not a scientific term but, rather, the annoying situation when people apply for posted job openings and never hear back. It’s very frustrating because applying for jobs is a time-consuming effort—too often with no results. But why is that state of affairs so prevalent? The answer is simple: because 72% of job applications are never seen by the human eye. Applicants need to understand that unlike in the past, most companies today—except for smaller ones—are using a software application called applicant tracking system, or ATS. This software acts similarly to the spam filter on your e-mail whereby the majority of spams never reach your in-box, and therefore, you’re not even aware of them. The ATS scans résumés, culls relevant data, and plugs the data into predetermined columns by categories in its database. For example, the contact information at the top of the résumé gets plugged into the database so that the recruiter can sort it and search; the applicant’s education goes into a slot in the ATS assigned for education; and so forth. If such information does not get picked up properly from the résumé, the entire content might get omitted or placed in a different part of the ATS’s database. Typically, résumés contain section headers or job titles different from those the ATS is expecting. Assume a section title on a résumé says, for instance, “Further Training and Skills.” The wording may confuse the ATS, and, again, result in omission of the entire section or attachment of the section to another area where it does not belong and where it makes no sense. The human brain can deal with such variations and exceptions, but the computer cannot. Another example might be the existence of periods in the separation of the elements of a 10-digit phone number instead of what the ATS is expecting, which could be that the area code is given in parentheses, after which a word space follows, and then separation of the next three digits from the last four by a hyphen. There are of course many other such examples whereby the ATS is unable to properly code the information. How is the recruiter using the information the ATS presents? The recruiter can sort the information provided by the ATS by status—for example, interviewed, hired, offered, in review or rating at his discretion; geographic location; or information for future sorting. The recruiter can group applicants by skills or status or other criteria established as relevant to the candidate search. Use conventional terminology when choosing section header wording. Check other résumés to see what’s common. This is not an area to apply your creativity to. Use synonyms—for example, HR or human resources—because you never know what query the recruiter is using. Best if you apply for only one position at a company. If you apply for more than one position, the second application might get ignored unless the recruiter is manually indicating that this is the second position you’re applying for. Use Jobscan or TagCrowd software, with which you can compare the words used in the job description to better match the words in your résumé. The logic of a job seeker is to apply for as many positions online as applicable. And that makes sense. I am reminded of the famous bank robber Willie Sutton, who was asked why he robbed banks. 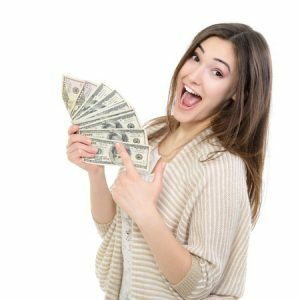 His humorous—and logical—answer was, “Because that’s where the money is.” Indeed, recruiters have jobs to fill, but it is known too that the chance of a job seeker’s landing a position through a recruiter is around 5 percent. Most people—60 to 80%—get their jobs by networking. So, how will you spend your time in finding a job? This entry was posted in job search advice, Resume and tagged Black Hole, Recruiters, resume on October 29, 2017 by Alex Freund. The adage “What you don’t know won’t hurt you” is very misleading, especially for people in transition or otherwise contemplating a career change. Not only is the contention untrue, but also it in fact hinders the ability to get what you want. Furthermore, it conveys a false sense of positive feeling. For example, those in transition are advised to customize their résumés to the job openings they’re applying to. Sounds logical, but it’s a laborious process that can take hours of close work, even though, at the end of the process, clicking on Submit or Apply gives a sense of satisfaction. But it’s a false satisfaction because nowadays, most if not all such submissions are going through electronic software called an applicant-tracking system, or ATS, which has its own rules. If the applicant does not obey the rules, the résumé or application goes into the proverbial black hole and never reaches its intended destination. That’s where the hurt comes in, because the applicant will never learn why it happened or how to correct the process for next time. Here are several suggestions. They apply only to electronic job applications, which means you should have two versions of the résumé: one for ATS software so that it will reach a recruiter and another one for a human. Submit your résumé in Microsoft Word format. Be aware that there are many ATS providers, including archaic and new versions. As a candidate, you have no way of knowing which one your résumé will have to deal with, and pdf files or files formatted in other ways might not be able to get read into every type of ATS software. Don’t format your résumé by way of the use of a résumé template. Use the standard, customary section headers for sections, and put them on separate lines. Type those section headers in all capital letters, such as PROFESSIONAL EXPERIENCE, but do not type anything else in all caps. Of course use a capital letter at the beginning of a sentence, for the words in course titles, and for all proper nouns. Be consistent when listing your previous companies and titles—whichever you want to list first for emphasis. Separate each résumé section by a blank line, but never add a blank line within a paragraph. As you can see, the foregoing steps may appear as details, but as another adage goes, “The devil is in the details”; and that notion could be both crucial and decisive for your future career. This entry was posted in job search advice, Resume and tagged Keywords for resume, resume, Resume writer on June 6, 2017 by Alex Freund. We meet on the following Thursdays: June 1, 8,15,22 and 29 @ $30 for the entire course and the graduates will receive a book. This five-part series is designed to provide a roadmap for any one re-entering the job market – even those who may be seeking a new position for the first time in many years, a career change, a promotion or those wanting to develop their professional identity. Alex Freund, also known as “The Landing Expert,” will share the market’s newest strategies and tactics that can shorten your search to landing timeline. A framework will be provided enabling you to develop your personal toolkit week by week. You will examine the job search process from the hiring manager’s point of view and how to present your best self on paper and in person. You will identify short-term and long-term actions to meet your desired goal. Each session will show case today’s most effective tools and techniques for break-through results. All sessions are highly interactive and include the opportunity to practice newly learned skills including answering challenging interview questions. This entry was posted in and tagged Career advice, Keywords for resume, Linkedin Profile, resume on June 1, 2017 by Alex Freund.